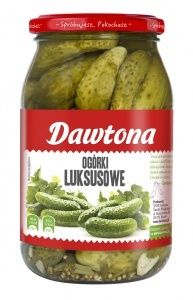 Carefully selected, small ground cucumbers in a specially prepared vinegar marinade with addition of very spicy habanero peppers are great add-on to sandwiches, salads and meat. Hard and crunchy also extremely spicy will give an unique character preparing dishes! 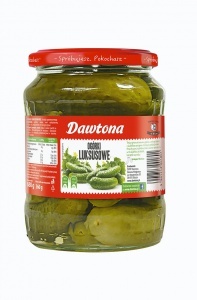 Product available in 680 g jars. 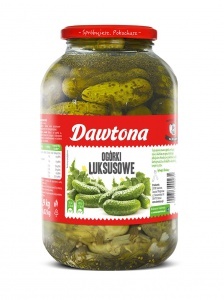 Product available in 1,44 kg jars. 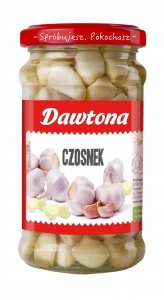 Product available in 1,9 kg jars. The primary ingredient of traditional Polish dish, that is homemade cucumber soup! Pickled cucumbers add distinct flavor to many dishes. They are an excellent addition to meats, salads, sandwiches and more. Garlic marinated in aromatic brine is the perfect solution when you do not have much time to concoct a dream dish. 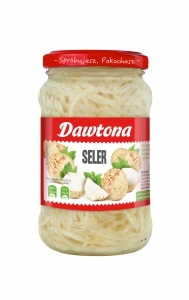 It is a perfect addition to salads, soups and meat dishes. Product available in 230 g jars. Pickled garlic in oil is a great addition to meat dishes and homemade salads. The aromatic brine makes it a delicious snack or sandwich topping. 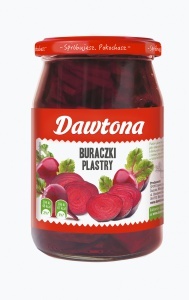 It’s convenient too - simply unscrew the jar to enjoy its taste. No peeling necessary! Thinking about an aromatic meat marinade? 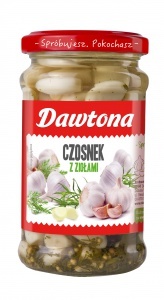 Look no further than our pickled garlic with herbs! Immersed in herbal brine, with the addition of a slightly peppery bitterness of tarragon and juniper berries, pickled garlic imparts character and flavor to any meat dish! Delicious pork chop, potatoes and beets - a dinner meal often served by our grandmothers. A simple yet appetizing dish. Grated beets are a great idea for a side salad. They are not only delicious, but healthy too. Beets are a unique source of vitamins and minerals. They strengthen the immune system and protect against diseases. 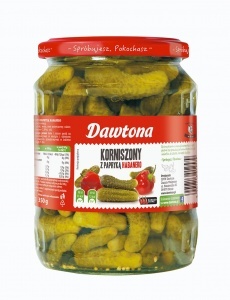 Product available in 500 g jars. Beets cut into slices may be served as a side as well as a colorful addition to salads. Make sure to try them with yogurt sauce! It is hard to find a better or more popular addition to the traditional pork chop. 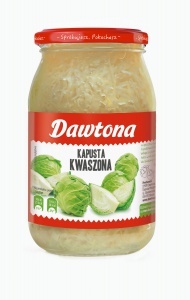 Sauerkraut is not only a distinct side dish with a unique flavor, but a great source of vitamin C. Also worth noting is the unique lightness of sauerkraut - 100 grams contains only 24 calories, making it ideal for those who care about staying fit. It is hard to find a better or more popular addition to the traditional pork chop. 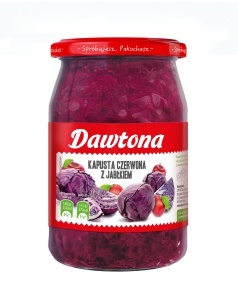 Sauerkraut is not only a distinct side dish with a unique flavor, but a great source of vitamin C.
Red cabbage with the addition of sweet apples is a quick idea for a delicious salad. 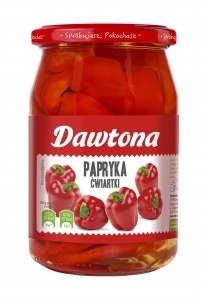 Goes perfectly with dark meat, dumplings and potatoes. Whether it’s a homemade salad or a vegetable soup – celery makes everything better. Conveniently shredded into small pieces and dipped in a sweet marinade - ready for use right out of the jar. Celery not only enriches the flavor of numerous dishes, it is also an excellent source of vitamins. It speeds up metabolism and detoxifies the body! Product available in 345 g jars.